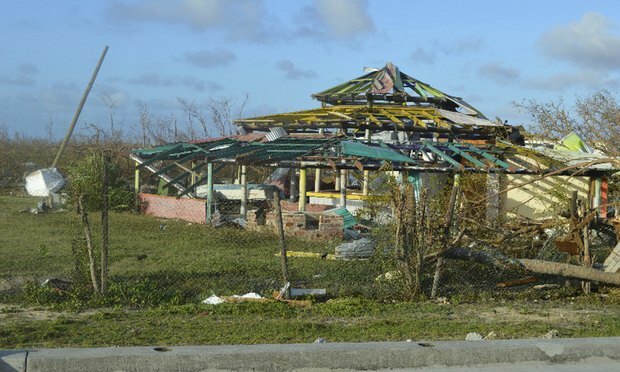 Damage left after Hurricane Irma hit Barbuda. The Florida Bar has raised the income qualifying cap for its online legal clinic, Florida Free Legal Answers, to ensure that Floridians can access the site and post questions related to Hurricane Irma. More than 500 attorneys signed up to volunteer for the site, (https://florida.freelegalanswers.org/), which ordinarily matches low-income Floridians with attorneys who can answer basic legal questions. The site is a collaboration between the Florida Bar and the American Bar Association, which approved the qualifying cap increase. Separately, a toll-free legal aid hotline run by the Federal Emergency Management Agency will be available once Hurricane Irma makes landfall. The FEMA Legal Assistance Hotline will be available to assist low-income hurricane victims with storm-related legal help. Hurricane victims will be able to get advice on a range of topics, including securing FEMA and other benefits; filing life, medical and property insurance claims; dealing with home repair contracts and contractors; replacing wills and other important legal documents destroyed in the storm; assisting with consumer protection matters; and counseling on landlord/tenant problems. In addition, the Florida Bar Foundation board of directors set aside $500,000 Thursday to support Florida legal aid organizations that suffer infrastructure damage or equipment losses and help their clients with hurricane-related civil legal issues in the wake of Hurricane Irma. The money comes from Florida’s share of a settlement between Bank of America, the U.S. Department of Justice and six states. The Florida Bar Foundation created a Florida Hurricane Legal Aid Fund, (information at https://thefloridabarfoundation.org/storm-aid) to collect donations to supplement the $500,000 allocation. The page also offers links to volunteer opportunities for Florida lawyers, including FloridaProBonoMatters.org, where attorneys can register their interest in pro bono cases in Florida. The donations to https://thefloridabarfoundation.org/florida-hurricane-legal-aid-fund/ will go to civil legal assistance for Floridians affected by Hurricane Irma and any subsequent hurricanes that make landfall in Florida. To check for updates on all court closures and tolling orders, check the Florida Supreme Court webpage, http://www.floridasupremecourt.org/emergency.shtml. Monika Gonzalez Mesa writes about the business of law in Florida. Contact her at mgmesa@alm.com. On Twitter: @MonikaMesa1.